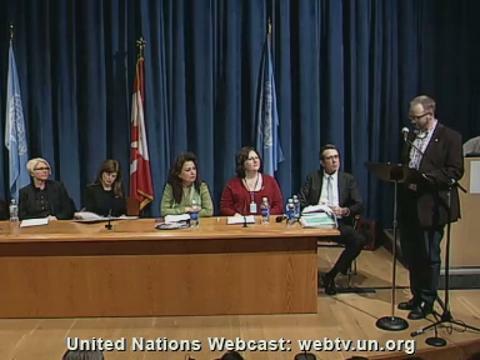 UN Live United Nations Web TV - 1 in 5 girls is not in school. Find out what you can do about it on the Youth Effect! 1 in 5 girls is not in school. Find out what you can do about it on the Youth Effect! 5 Feb 2015 - Globally, 1 in 5 girls is not in school. Why is this still happening? What can I do about it? Find out why in many parts of the world, girls are dropping out of school, and even if they finish school, why they have lower earning power and fewer skills than the boys in their class. Vivian Onano, Youth Advisor, shares her personal story of how she was able to complete school despite the challenges. Join her as she speaks to young people on why girls are dropping out of school and what we can do about it. Why is it important to have women peacekeepers?